This Postgraduate Diploma CBT for Anxiety and Depression is a year-long training programme in evidence based CBT for mild to moderate anxiety and mild to severe depression. The programme is run in line with national Improving Access to Psychological Therapies (IAPT) guidelines and is open to High Intensity IAPT trainees and others wishing to develop specialist skills in these areas. This programme offers students the opportunity to develop their CBT skills and knowledge to the level of a competent CBT practitioner. All the listed modules are core to this programme and must be taken over one year. While a University Diploma requires 120 CATS points, the IAPT Diploma requires more in order to comply with IAPT curriculum and BABCP Level II accreditation. Recruitment for this programme is jointly undertaken with partner IAPT services. Please visit the 'entry requirements' tab for details of how to apply. 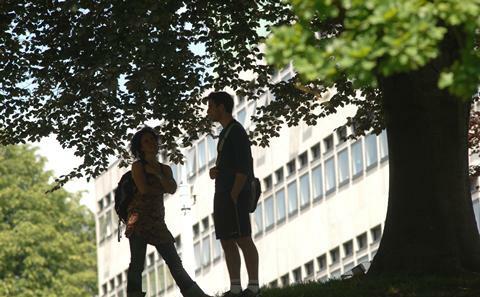 This is the course page for Postgraduate Diploma CBT for Anxiety and Depression (IAPT) at the University of Southampton. Find out everything about CBT for Anxiety and Depression (IAPT) and what studying here involves. In this course page we explain a range of key information about the course. This includes typical entry requirements, modules you can take and how assessment works. We also suggest career opportunities open to you as a University of Southampton graduate of Postgraduate Diploma CBT for Anxiety and Depression (IAPT). If you still have questions, please get in touch and we’ll be happy to answer any enquiries. Visit our contact us page for our telephone, email and address information. To enable students to develop skills in collaborative assessment, formulation and treatment based on empirically validated models. The diploma is level II accredited by the BABCP. Successful completion of the course provides students with the academic and clinical requirements needed to apply for personal accreditation. Students apply to BABCP independently of the programme. The programme normally takes one year to complete, studying full-time. You will have a core healthcare profession (as defined by BABCP) or be able to demonstrate equivalent knowledge, skills and attitudes. In addition you will normally have knowledge and experience of CBT. The admissions process for the PG Dip (IAPT) is normally completed jointly with partner IAPT services. Therefore, as well as meeting the university admissions criteria, you must also meet the service criteria. We normally advertise on NHS jobs website between April and July each year. Please contact cbtadmin@soton.ac.uk if you would like us to let you know when adverts go out. Training posts are advertised on NHS jobs and admission to the programme is by application and interview. If you do not have a core profession as defined by BABCP, and are being considered through the KSA route, you must bring a completed KSA portfolio to interview for evaluation by the university KSA assessor. At interview, we will ask you to read a short clinical vignette and then take part in a short role play based on this vignette. Please visit the BABCP website for information on KSA procedure. The usual academic entrance requirement is a first degree in psychology, medicine, social work, occupational therapy, nursing, or an equivalent professional qualification, from an approved university, of 2:1 standard or above. If you have a non-degree nursing qualification, this must be equivalent to an undergraduate PG diploma. Experienced mental health professionals who do not meet these entrance requirements may sometimes be individually assessed and considered for admission on a discretionary basis. International students are required to have the equivalent of a minimum IELTS score of 7.0 in English language prior to starting the programme. (visit the Country information page on our website. The programme requires that you already have certain minimum standards of prior training, including good interpersonal skills, a thorough knowledge of mental health problems, interviewing and general assessment skills, and an understanding of ethical and professional issues in care and treatment. Applications are therefore open primarily to suitably qualified mental health professionals (e.g. Psychologists, Psychiatrists, Psychiatric Social Workers, Occupational Therapists, and Mental Health Nurses). If you have a different, but equivalent professional background, you may be considered on an individual basis, through submission of a portfolio of evidence linked to the BABCP 'Knowledge, Skills and Attitudes' criteria. In cases where the programme team consider that the candidate's performance is compromised by issues that relate to fitness to practise, the policy and procedures laid out in the University Fitness to Practise Policy will be followed. Stationery You will be expected to provide your own day-to-day stationery items, e.g. pens, pencils, notebooks, etc.). Books Essential books are listed on the Module Profile under Resources. Where a module specifies core texts these should generally be available on the reserve list in the library. However due to demand, students may prefer to buy their own copies. These can be purchased from any source. Some modules suggest reading texts as optional background reading. The library may hold copies of such texts, or alternatively you may wish to purchase your own copies. Although not essential reading, you may benefit from the additional reading materials for the module. Equipment Recording Equipment-You will need to have access to equipment to (i) video record therapy sessions, and (ii) upload these recordings securely to the University. All students studying the Level 2 IAPT Diploma IAPT will have their equipment provided. All other students are responsible for providing their own equipment as discussed at interview and in the Student Handbook. Equipment IT: You will need to have access to equipment to (i) video and audio record therapy sessions, and (ii) upload these recordings securely to the University. All students studying the Level 2 IAPT Diploma IAPT will have their equipment provided. All other students are responsible for providing their own equipment as discussed at interview and in the Student Handbook. This includes computer discs, software licenses and hardware. Placements You or your employer (typically the NHS) will be responsible for all costs related to your clinical work. This includes accommodation, insurance, medical insurance, travel costs, immunisation/vaccination costs, disclosure and barring certificates or clearance and translation of birth certificates. If you are taking supervision modules you are required to become a member of BABCP prior to start of your programme. Other Parking Costs- You or your employer (typically the NHS) will be responsible for all parking costs while at the University. You will develop core and specialist knowledge and understanding through traditional lectures, interactive workshops and small group supervision. Your academic and clinical skills will be assessed using a combination of case reports, essays and therapy recordings. Throughout the programme, you are encouraged to undertake independent reading to consolidate what is being taught and broaden your knowledge and understanding of particular topics. This includes academic texts, journal articles and other selected sources.